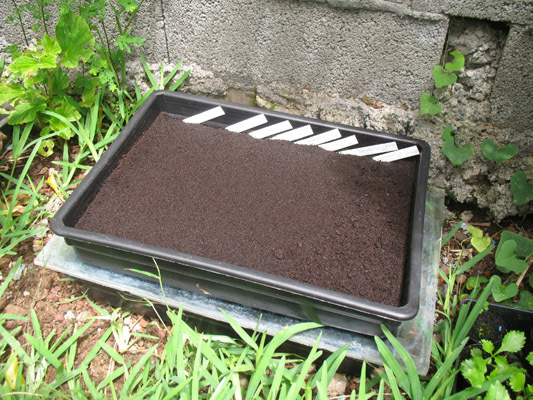 If you have many seeds to plant variety, here is the method we recommend for optimal germination. 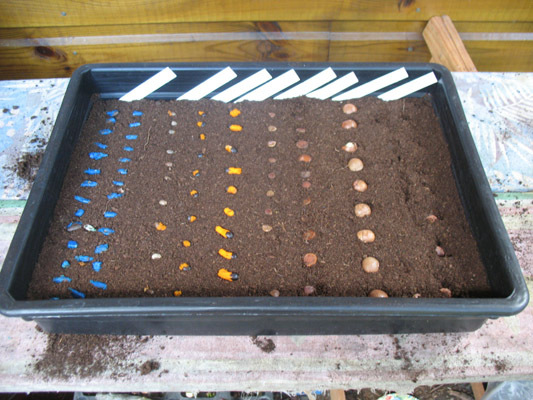 Preferably, group seed sizes roughly similar. 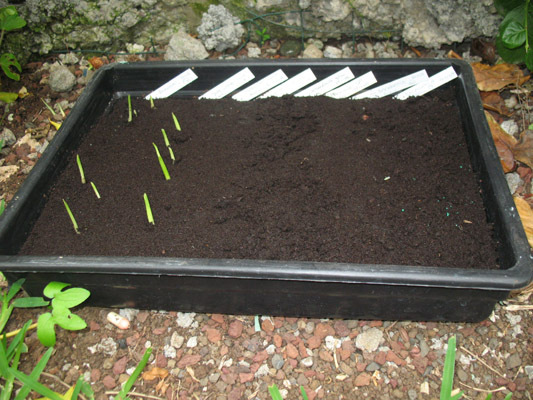 Step1: Fill soil at planting a box in plastic (perforated at the bottom),have seeds in line by variety, label, name and date sowing. 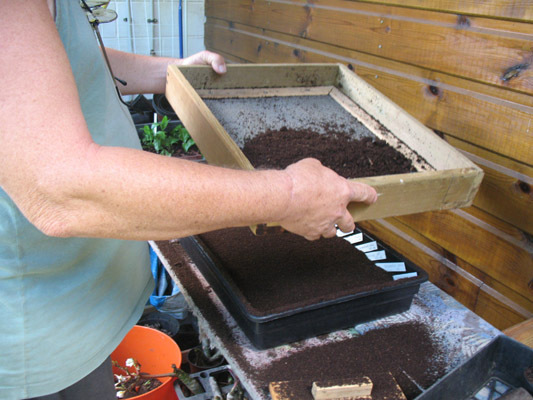 Step 2: Sift the soil on the seeds, so cover with a layer equal to their size. 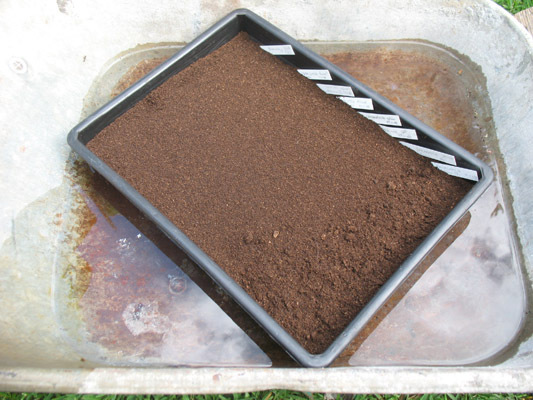 Step3: Soak the small box for 15 minutes in room temperature water tomoisten the soil, watering unnecessary over both the substrate is dry,it would only move seeds. 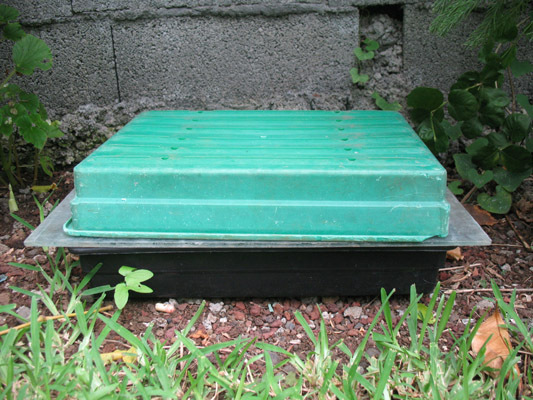 Allow to drain before placing the small box in the space provided. 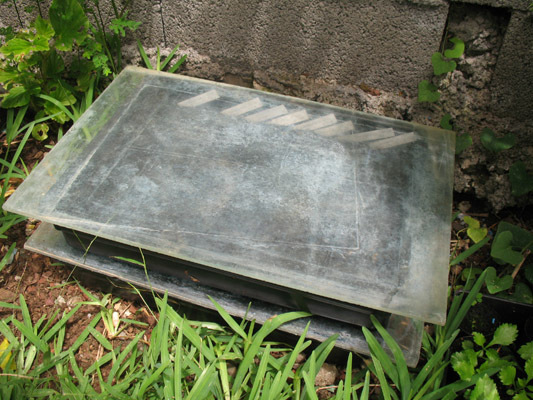 Step 4: Place the small box to its final location in the shadow of preference.